RIP Foil Capsules? How one winery is inspiring a labeling trend. 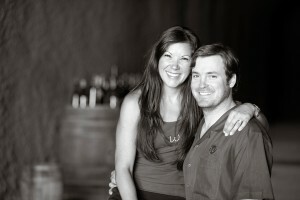 In 2001, Ryan and Crystal Waugh founded Waugh Cellars, which now produces 3000 cases of award winning wine, annually. Some of their varietals include a Russian River Chardonnay, a Napa Valley Cabernet Sauvignon and a Zinfandel from the Dry Creek region of Sonoma. Waugh Cellars’ packaging issues didn’t just reside with a lackluster consumer experience with the paper label. Issues occurred in the supply chain, as well. With lead times on foil-based capsules nearing six months, it was critical that not only the capsules arrive on schedule, but that all suppliers meet their deadlines. One hiccup in this house-of-cards and there is a domino effect affecting all components critical to bottling, and packaging. It happened to Waugh Cellars. Waugh Cellars evolved its packaging to include two critical improvements. First, to avoid the “soggy label” Ryan decided to try screen printing their Sauvignon Blanc label. Sometimes referred to as silk screening, (or ACL: applied color labeling), this alternative to paper produces creates eye-catching labels that are resistant to wrinkling, smearing, scuffing and are most importantly, water proof. We experimented with screen printing and people told us it looked like an upgrade. We’re never going back to paper,” says Waugh. As a result of the successful test with their white wines, Waugh Cellars started to screen print the labels on all of their varietals. Screen printed labels and capsules continue to reap unexpected benefits for Waugh Cellars. For example, bottling lines universally appreciate the advantages of screen printed bottles. Without paper labels to contend with, set up time was halved and there were fewer, if any, delays during bottling. Bottling screen-printed bottles has proven to be cost-efficient. The process is seamless when screen-printed bottles are in the queue, another clear advantage to making the switch from paper to screen-printed glass. Waugh Cellars also recognized that by avoiding a foil capsule step in the bottling process, there were fewer opportunities for contamination. In addition Waugh has now reduced their environmental demand for aluminum altogether.